What are your dreams? What would you like to be doing? Are you happy with your life or are you finding you’re repeating the same patterns over and over again? This is the Align the Creator Healing Energy. It is a powerful meditation that helps us to unlock our creator energy, empowering our lives to create abundance and joy. Awaken our inner creator energy and bring it into alignment so that we can clear the old patterns that keep us from empowering our dreams into reality. 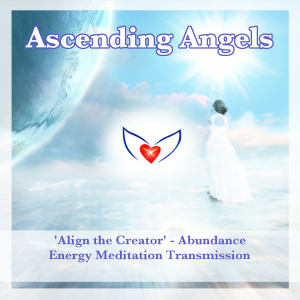 A powerful experience, listen to this meditation daily for a period of 13 days to fully empower the creator energy within. Please click on the album image to purchase via CD Baby – this meditation is available to purchase at $2. Copyright © 2018 Caroline Sharp of Ascending Angels.